The Old Fort or Purana Qila is a sixteenth century fort located in Old Delhi on the banks of Yamuna. It happens to be the oldest fort in Delhi; in fact, it is the oldest surviving fort in Delhi. It is said that the fort was initially built by the by Pandavas in the ancient of city of Indraprastha (Delhi) of the Mahabharata, on the banks of river Yamuna dating it back about 5000 years old. An excavation carried out the “Archaeological Survey of India” has confirmed its date back to at least 1000 B.C. The ruins of the fort as we see today were built by the second Mughal emperor Humayun during the 1530s. The red sandstone fort is an architectural marvel and a quintessential example of the Indo-Islamic architecture that flourished in India during the long reign of the Mughals. Inside the fort there is Qila-e-Kuhna Mosque, which stands apart from the rest of the fort because of its pre-Mughal architecture. The mosque was built five-six year after the construction of the fort. Born in present day Uzbekistan in 1483, Zahir-ud-din Babur was a ferocious fighter. He was a descendant of Turkic ruler Tamerlane and the notorious military general Genghis Khan. Babur came to India during the early years of the 16th century and founded the Mughal Empire. His son Humayun would consolidate the gains made by his father and expand the empire to as far as Assam in Eastern India and Maharashtra in the south. As a part of his consolidation efforts, he built a new capital in Delhi and ordered the construction of the “Purana Qila or the Old Fort.” When Humayun was temporarily ousted from power by Sher Shah Suri from Afghanistan, the new ruler changed the name of the fort to “Shergarh.” Fortunately for Humayun, Sher Shah Suri died quickly and he was able to regain his empire. The Old Fort continued to remain the seat of the Mughal power until Shah Jahan decided to move the capital and constructed the Lal Qila. The fort’s architecture is an early example of the Persian influence on building. This is one of the largest buildings in the world constructed exclusively from red sandstone. The outer walls are 18 meters (60 feet) in height and have a circumference of over 1.5 km (1 mile). The fort is especially famous for its elaborately decorated giant gates, otherwise known as “Darwazas”. (1) Bara Darwaza: Rendered into English as the “Big Gate”, this is the only of the three that’s still in current use. (2) Humayun’s Gate: Nobody knows why it’s named so. Nonetheless, it still stands tall, even after four centuries, with all its elaborate decoration. Despite different names and purposes for which they were built, all the three gates have a couple of things in common. They are all double storied, don pillared pavilions and are reminiscent of the Rajputana architecture with heavy influences from Islamic architecture, Persia and Central Asia. Inside the fort is stands the famous Qila-e-Kuhna Mosque. The mosque was built by Sher Shah Suri in 1541 as a place of private worship for him and his close followers. The calligraphy etched on the walls of the mosque marks a shift from the Lodhi architecture to Mughal architecture. The mosque is rectangular in shape and built mainly from marble. Despite its old age, it’s still the best preserved structure in the Old Fort. A visit to the Purana Qila should be on the priority list for those visiting Delhi especially for those with historical inclinations. Address: Mathura Road, Delhi (Near Delhi Zoo). I agree with you Michael. As it happens Delhi is an ancient city. Its something like Jerusalem, an ancient city that was built, burnt and then rebuilt and fought over it over centuries. Thank you Audrey, it is a fascinating, a must visit for the historically inclined. Hello Kunjam, there is continuous restoration works going on. Looks like an amazing place! I know very little about the parts you are covering in your blog, and so loving the journey! Hello Gary, thanks for your comment, hope you do visit the places one day. The Purana Qila is a great place to find out Delhi’s past. I have seen this place and it is the same as you want to show with your images. I appreciate this article as a blog post.It has given me some blasting movements of my past. Thanks for the superb showing. A nostalgic post. Puran Qila has a lot to offer for national and international tourists and enthusiasts who love visiting places of historical significance. Puran Qila is one of the places visited most by many throughout 365 days. How is this post nostalgic????? This is Indicating about something good and making everyone to get ready for a vacations. Thank you Amit, glad you liked it. The show in the evening is quite good. Purana Qila is also a beautiful place. But you should be discuss on Palace of Taj, I mean Taj Mahal. I think the best time to visit Delhi is between October and March, when the weather is very pleasant. Most cultural events take place in winter and Delhi is socially very active. By February the flowers are in bloom and the city is really quite pretty then. Summers are searing hot and dry, so do come prepared for the weather. Delhi was the central place for great Mughal Empire. So at that time lots of memorable building build. If a tourist doesn’t visit Delhi, he’ll not understand what memorable things are hidden in Delhi. I have not visited this place. I will plan a hangout soon. Thanks for sharing mam. 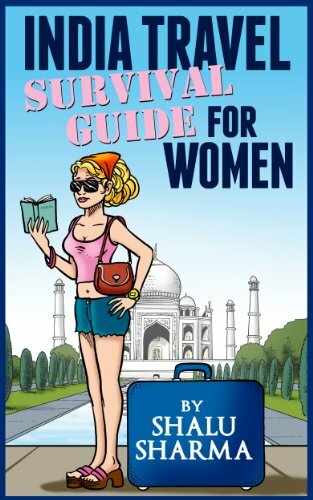 Delhi, has so many locations to check out. It must be a little frustrating to see so many wonderful locations all enough time. 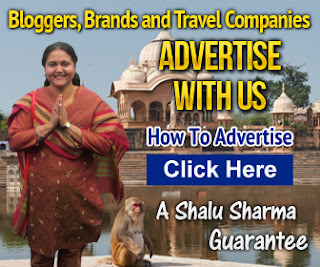 I agree with you Shalu, in India, Delhi is considered to be one of the most visited places in the country. Thank you for showing Purana Qila (old fort) in this post. The gates are really huge and are intricately built! Nice article Shaluji. 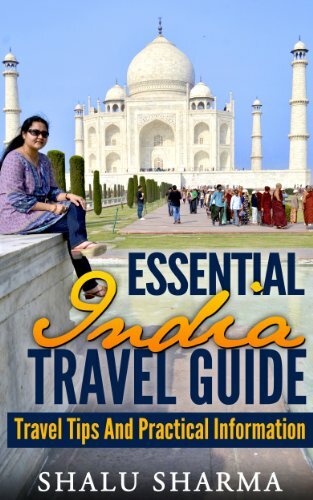 Admire the efforts you have put in this blog and given details that foreigners and Indians alike are sure to appreciate. I love Delhi, the food, the clothes etc. The only thing that bothers me about it is the weather. That being said; this historic place is worth a visit. Thanks for sharing. Thank you for your comments Dipa ji. I have not visited this place.Thanks for the full information mam.Will surely make a trip with friends. Nice article Shalu Sharma. Keep blogging through your blog we can find lots of information. Looks like a beautiful place I’ve never heard about this place. I love to visit such unknown destinations in India. I think this is perfect place for me to visit. I will definitely visit this place. 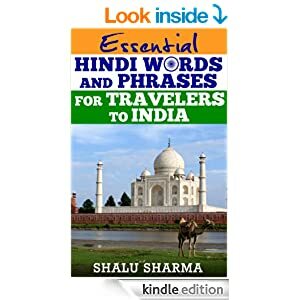 Many places of interest that exist in India. I hope I can get there. Very nice and elaborative post!! Really impressive work!! Do you travel to all these places or you research about them on the internet only?